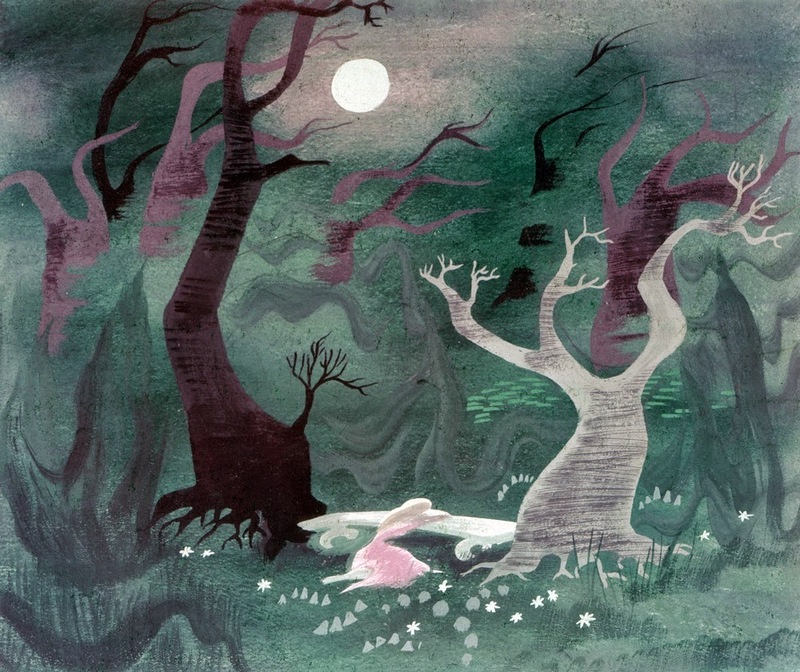 Mary Blair played a big part in the success of Disney's Cinderella. 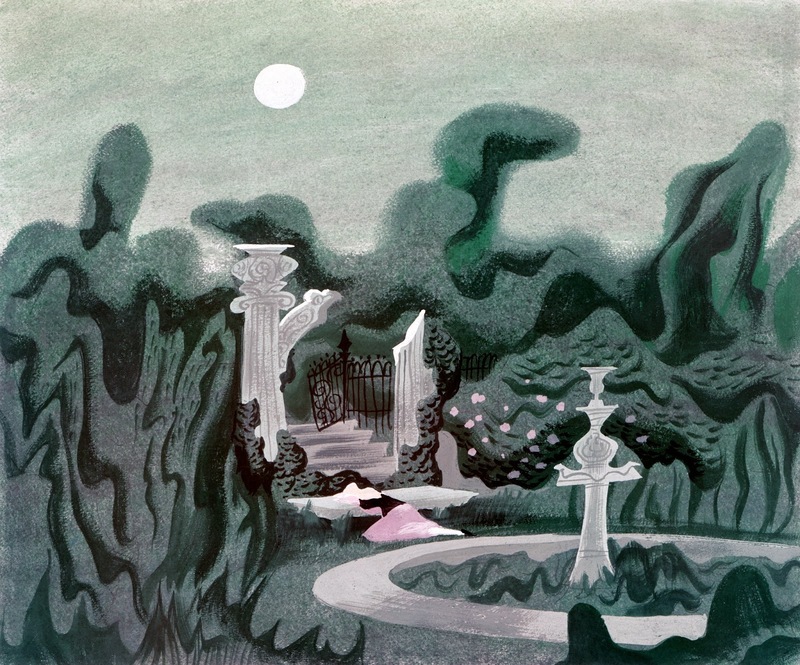 Her rough color/environment sketches didn't make it to the screen as such, nevertheless her artistic sensibilities influenced the entire production. Mary wasn't only a color expert extraordinaire, she also knew staging and composition. In the piece above I love how the window's grid offsets the perspective of the ballroom's floor. It adds interest and tension. The other two pieces show Cinderella at her low point in the film. She has given up all hope. Look at all those fascinating shapes and textures, all supporting the mood of the scene. 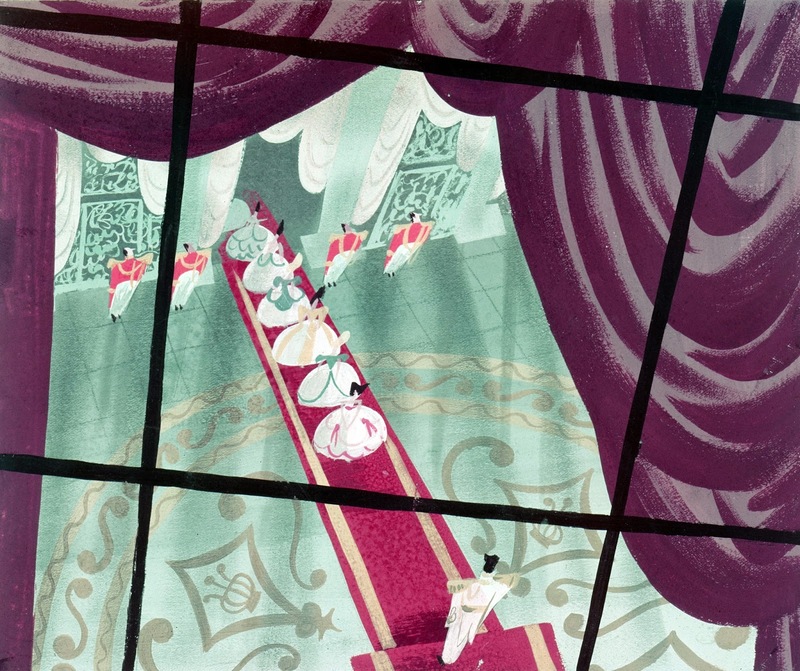 It was Marc Davis' idea to have the Fairy Godmother show up as she blends in with Cinderella's pose. Marc and Mary had a mutual admiration society going on, they remained very good friends.